Could it really happen? Old Man Winter might make an early descent from the mountain peaks of the North Shore to the city this week. According to Environment Canada’s latest forecast, there is a chance of snowfall at the end of the week when temperatures drop to near the freezing point. Overnight temperatures at Vancouver International Airport’s sea-level weather station are expected to drop to 2°C on Thursday and 1°C on Friday. When paired with the low pressure moisture system, there is currently a “chance of flurries” during the period from Friday evening to Saturday morning. 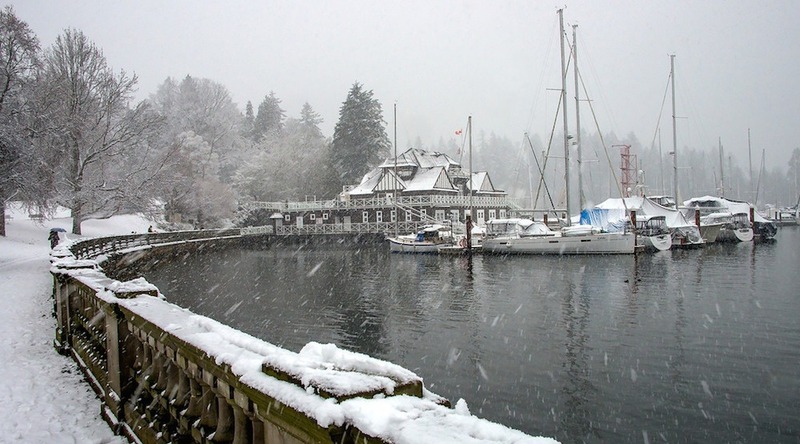 If there is a chance of snowfall at the airport, the chance is even greater elsewhere in the region – particularly in the North Shore and eastern municipalities as well as parts of the city of Vancouver – due to the higher elevation. But it is not expected to last, as daytime temperatures will spike to 7°C on Saturday. For the week’s current forecast, clear skies and sunny conditions will continue up until Tuesday, when the high pressure system over much of the province dissipates. Expect rainfall and single-digit daytime temperatures beginning Wednesday. Squamish and Whistler Village could see snowfall from Thursday through the weekend.